The King and Prince Beach & Golf Resort is open twenty-four hours a day, seven days a week. The oceanfront King and Prince Resort offers a rejuvenating island getaway – whether you prefer an adventure-filled vacation or a relaxing retreat. 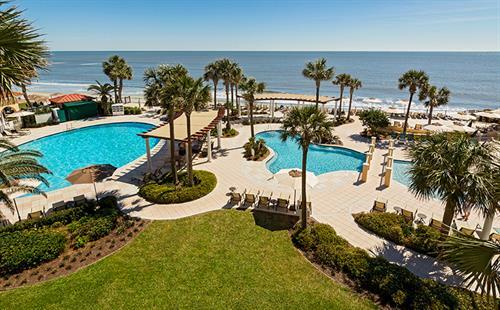 Located at the ocean’s edge on St. Simons Island, Georgia, the resort is surrounded by natural tropical beauty, and filled with rich history and island charm. 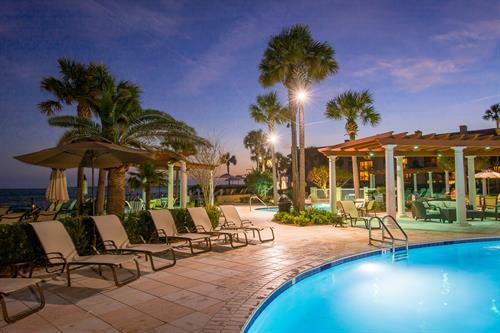 For over 80 years, this tranquil haven has combined gracious Southern hospitality and modern amenities. 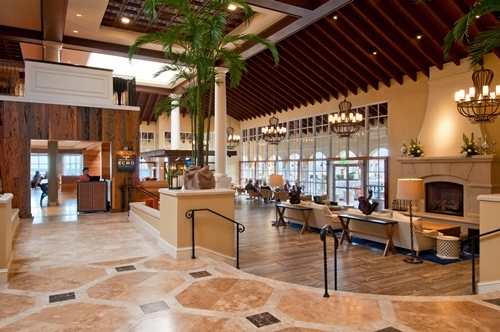 The King and Prince has earned eight consecutive TripAdvisor Certificates of Excellence. 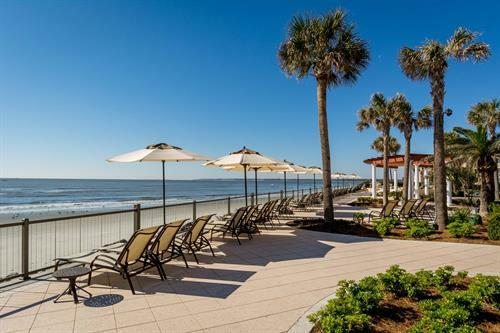 St. Simons Island has been graciously praised as one of the best islands and beach towns in the country from publications such as from Conde Nast Traveler, Southern Living Magazine, USA Today and Travel + Leisure. Whether you’re planning a romantic getaway, golf outing, or an extended family vacation, you can choose from a variety of accommodations. Guest rooms offer one king or two queen beds in various settings and views. Two and three-bedroom seaside villas, as well as one to five bedroom beach cottages, are popular choices with families or groups of friends who enjoy the convenience of a kitchen and living / dining area, along with private bedrooms and bathrooms. 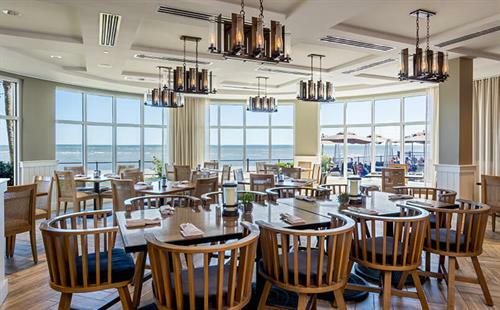 ECHO, the only oceanfront restaurant and bar on St. Simons Island, serves Southern coastal cuisine, craft brews, and an extensive wine list. 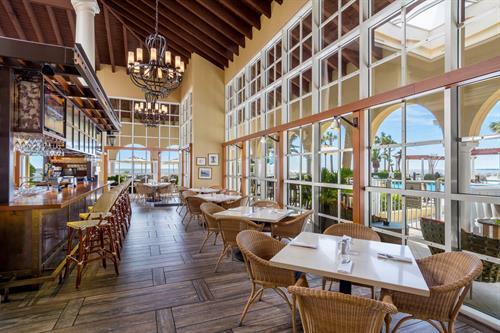 Guests enjoy indoor and outdoor oceanfront seating - from breakfast at sunrise to dinner and drinks at sunset and moonrise - as well as live music on select evenings. Five oceanfront swimming pools are surrounded by beautifully landscaped decks with ample lounge seating. Other on-site amenities include massage therapies, tennis, an exercise room, and children’s activities (seasonal). The King and Prince Golf Course is located just a short drive from the resort on the north end of the island. 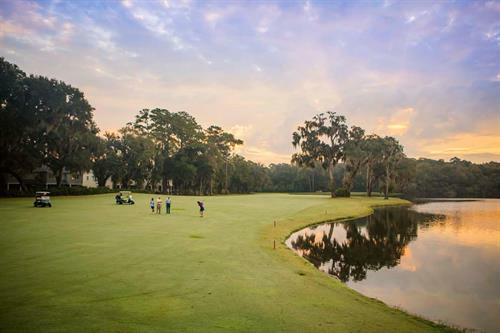 Vast salt marshes and ancient live oaks offer majestic, scenic beauty and its greens offer an outstanding quality of play. GolfAdvisor.com has ranked the course the number one golf experience in Georgia, and among the top 50 courses in the United States. 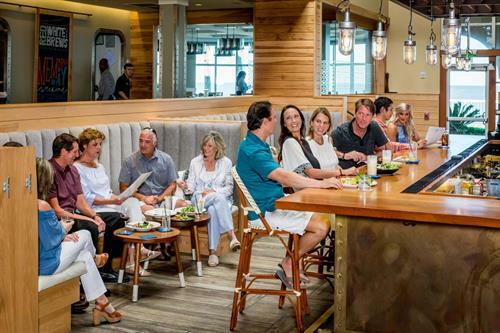 The resort is only minutes away from the historic Pier Village shops, restaurants and recreational activities – including shrimp boat and deep-sea fishing charters, trolley tours and bike rides of the historic landmarks on the island and more. From Jacksonville, FL: I-95 North to exit 29, first Brunswick Georgia Exit. Right off Exit ramp onto U.S. Highway 17. Approximately 9.3 miles take a right onto FJ Torras Causeway, the only access to St. Simons Island. Once on the island, get in the right traffic lane and continue straight on Kings Way. Continue approximately 3.3 miles through the Village area. Turn right onto Arnold Road, at the yellow blinking light. You will notice The King and Prince sign on the left.